Feed, protect, and rescue exotic African animals! Protect Africa's greatest exotic treasures in Project Rescue - Africa, a wonderful wildlife experience. Poachers and unkind conditions have led to the dwindling of the once-majestic African savannah. With your care and help however, nature can restore order and bring life back to this amazing preserve. Do you have the skills to keep the dreaded poachers away and maintain the savannah safe for generations to come? Feed, protect, and rescue critters in over 50 amazing time management challenges. Raise and care for lions, hippos, rhinos and more by purchasing food, using medical supplies, and getting rid of poachers. Use money earned to upgrade your preserve and buy helpful items. Once your animals have reached adulthood, send them back into the wild to live a fun and happy life! Download this free full version pc game today and save wonderful wildlife! 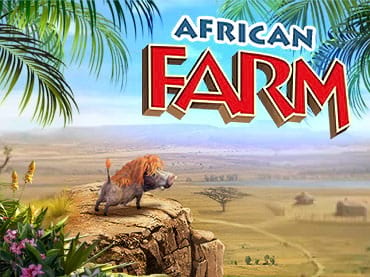 If you have questions about African Farm game, please contact us using this form.